We have a range of delivery options to suit your needs. All courier deliveries are tracked. At checkout chose the option that suits you best. 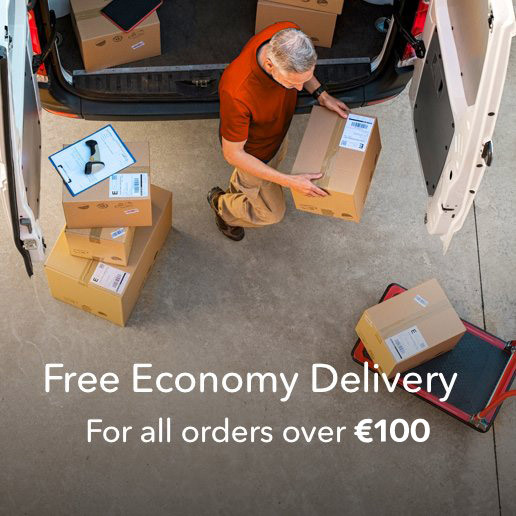 Choices include Free Economy Delivery*, 24hour Delivery, Timed Deliveries, Saturday Deliveries and more. We're here to help so if you have any queries or comments, please contact our UK-based customer service team, use our on-site live chat for an immediate response. Review posted on 17 Apr 2019 by Emma J.